One of my wonderful friends just had her second baby - a girl! She was team green which was very hard for me to accept since I knew I wanted to make her something. :) Sigh....I guess it was her pregnancy though. ;) Honestly, I never thought I'd be interested in not finding out girl or boy beforehand, but when I saw the message that the baby was born and it was a girl, I was REALLY excited. Like crazy excited. I guess team green will do that to you. I actually had a feeling it was a girl so I had been scoping out ideas online. 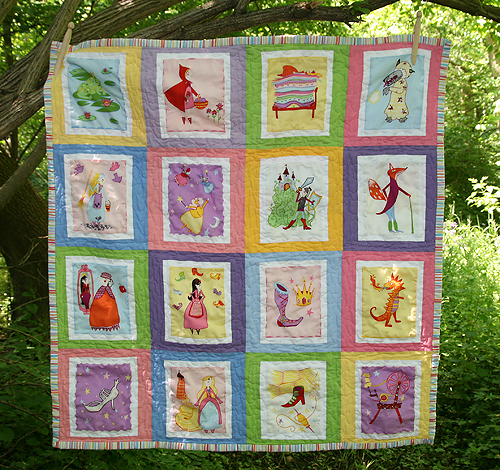 Initially I was going to make something like Ashley's Animal Sherbet Squares quilt. I even have the fabric. The nursery is safari themed and I thought this would add a great girly touch to the room after being used for a boy the last 2 years. Then I got wind of the Spoonflower printing fading issue. (This digitally printed fabric fades after a few washes.) And I didn't want to put all that work into something that should last forever, just to have it look bad after 3 washes. 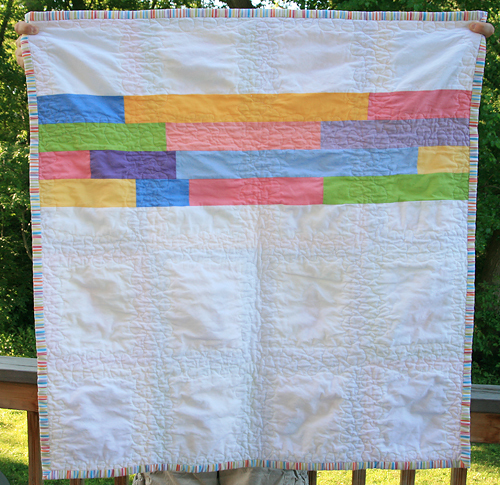 This quilt is made of 3 things I normally don't use - a fabric panel, a jelly roll, and a vintage sheet for the binding. 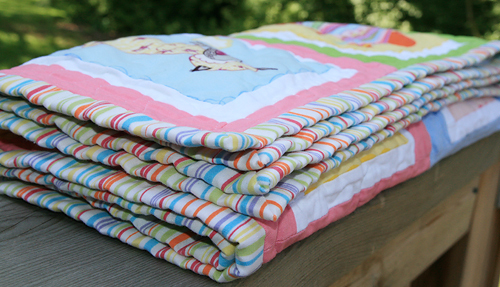 I just *love* stripy bindings and it seems I find myself using them on most of my baby quilts. 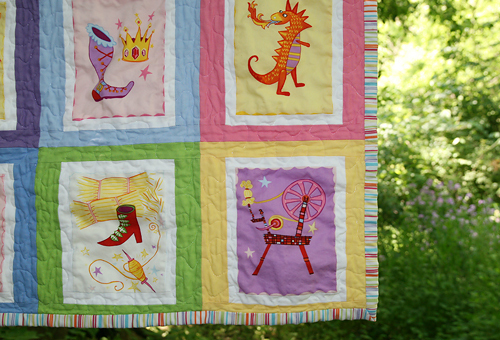 I quilted free motion on the sashing only, which you can see best on the back photo. I used some solids to make a stripe on the back. It measures 34" x 34". 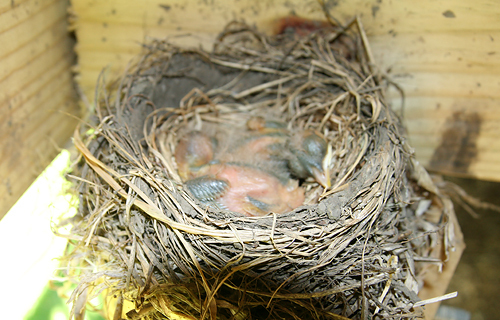 And speaking of babies...look what hatched under our deck! I hope everyone has a wonderful Memorial Day weekend!